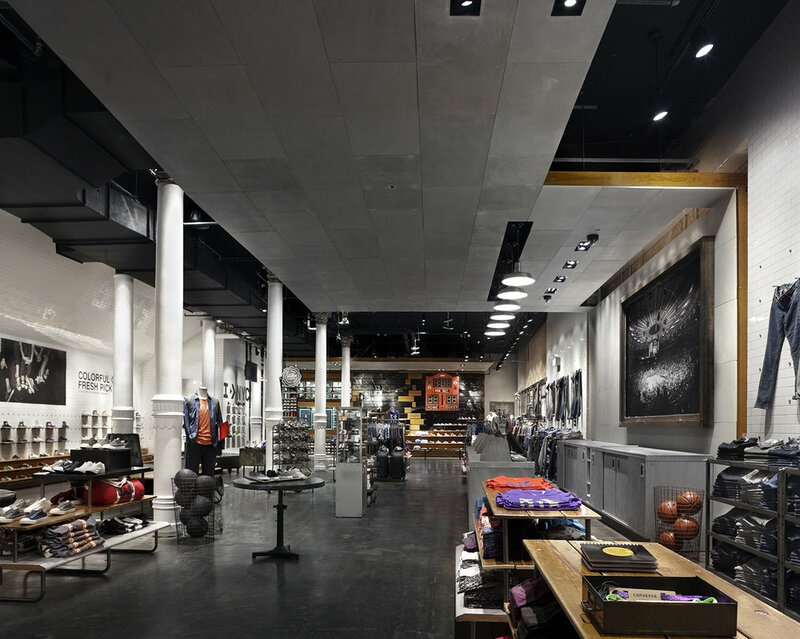 We designed a new brand language for Converse retail at this Soho site, the first of our many shop designs for this brand. We worked closely with the retail and brand teams to develop a material palette that reflects the brand’s identity, and we have employed and adapted these materials across the country. 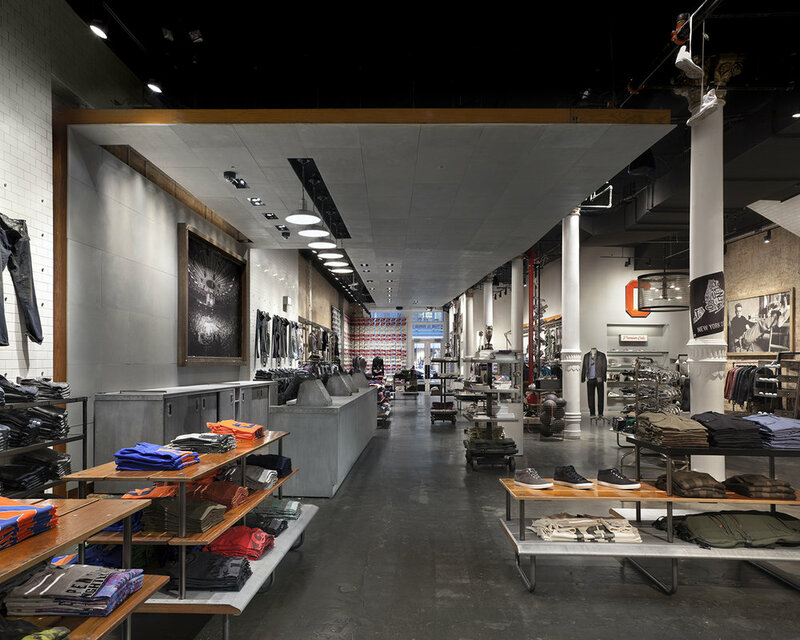 Materials typically used behind-the-scenes are put forth in unexpected ways to support the brand's iconoclast image -- unfinished galvanized doors, cement board ceiling panels, painted pine factory flooring. This New York location was designed and constructed in a very short timetable, including coordination with the Landmarks Preservation Commission on exterior signage and window work.